The iOS hit and one of the Top 100 Paid Apps in the App Store “The Moron Test” is now going from a mobile game/app onto desktops game. 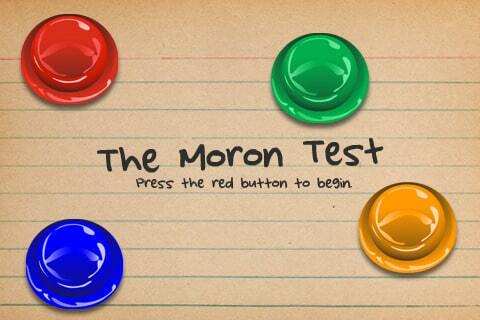 “The Moron Test” will be available on June 25th for Windows based PC and Mac at a price of $4.99. Amazon will hold the exclusive distribution right on its digital software store for the first two weeks of release, then it will be avaible on other places like Apple’s Mac App Store and developer’s site.